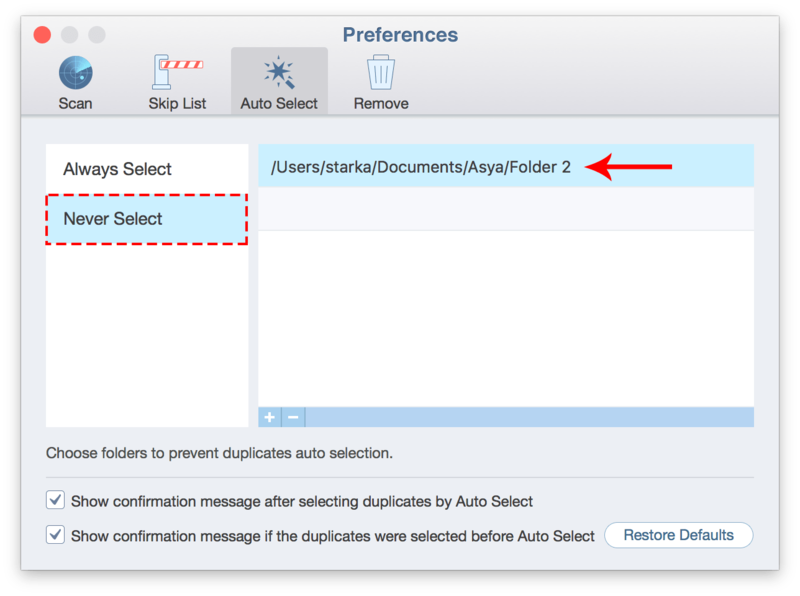 Selecting duplicates and comparing folders with the Autoselect button. 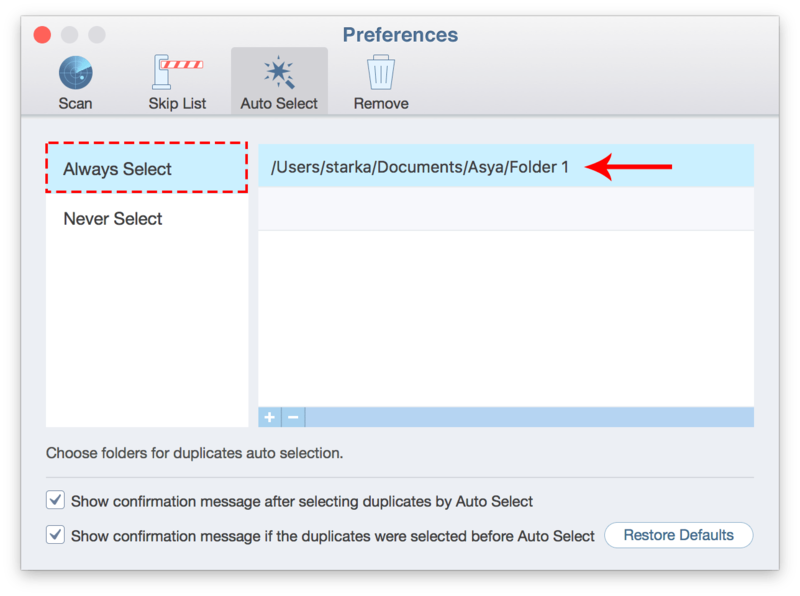 Selecting duplicates with the “Select Duplicates in…” command in the context menu. So let’s not waste time and learn about them in detail. Open the app’s Preferences and switch to the “Auto Select” tab. Add folders you in which want to keep files to the “Never Select” list. Rescan your folders or drives for duplicates. When the scan is finished, click the Autoselect button. 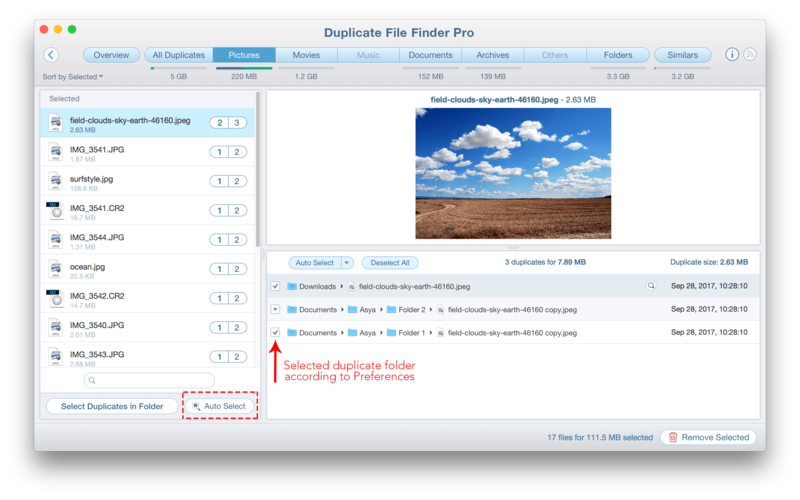 You will see the selected duplicate files in specified folders. Review the selected files and click Remove. 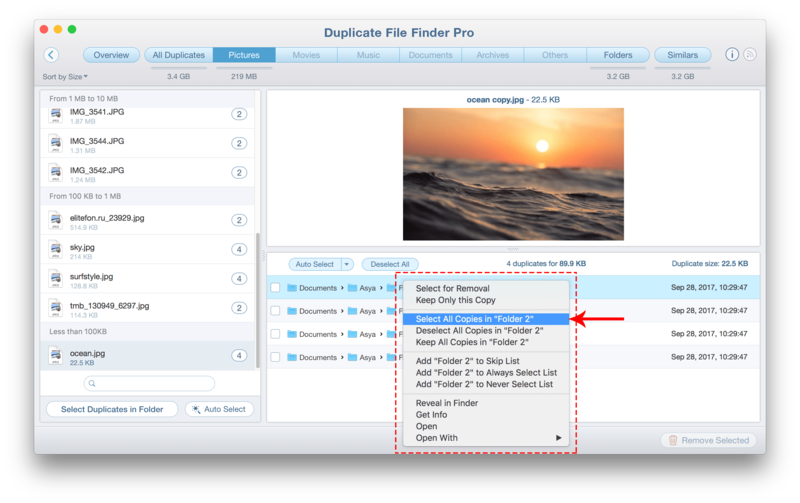 Drop to the Duplicate File Finder window your folders and start scanning for duplicates. 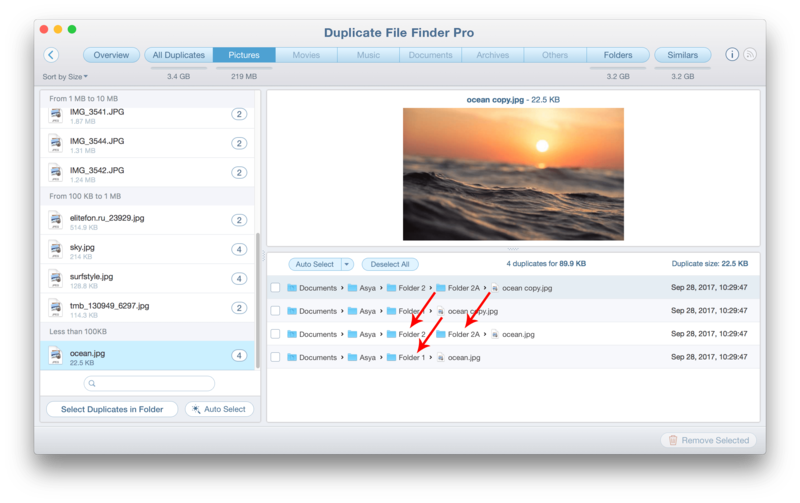 After the scan has completed, switch to the All Files tab, where you can preview the duplicates of all the file types. When you click on each file you can see which folders contain them. Now make a right click on the file from path representation and call the context menu. Use the “Select All Copies in …” command for the specified file. *Please note, this command does not select duplicate files recursively in the subfolders. So if you have some subfolders you should repeat the command for them. 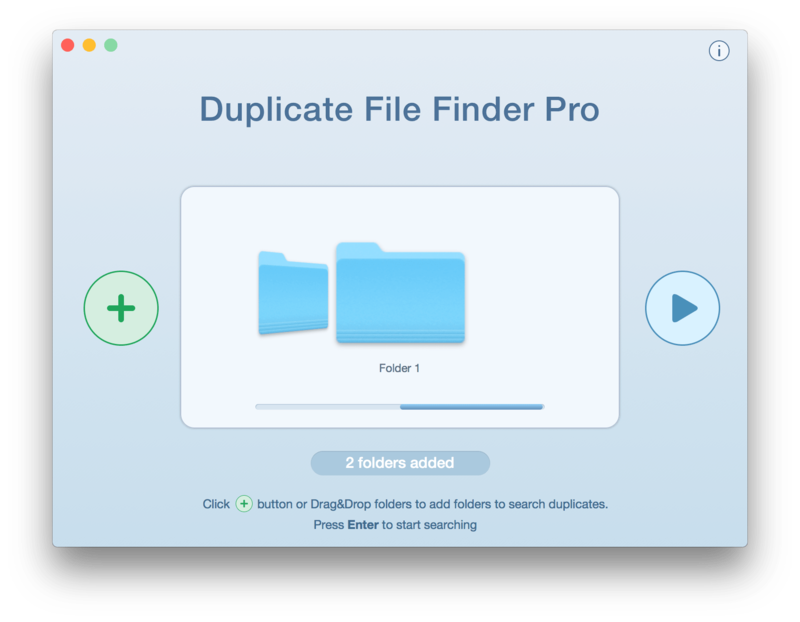 If you still have questions about Duplicate File Finder, visit our FAQ page or contact us via e-mail. Our Support team will be happy to help you.